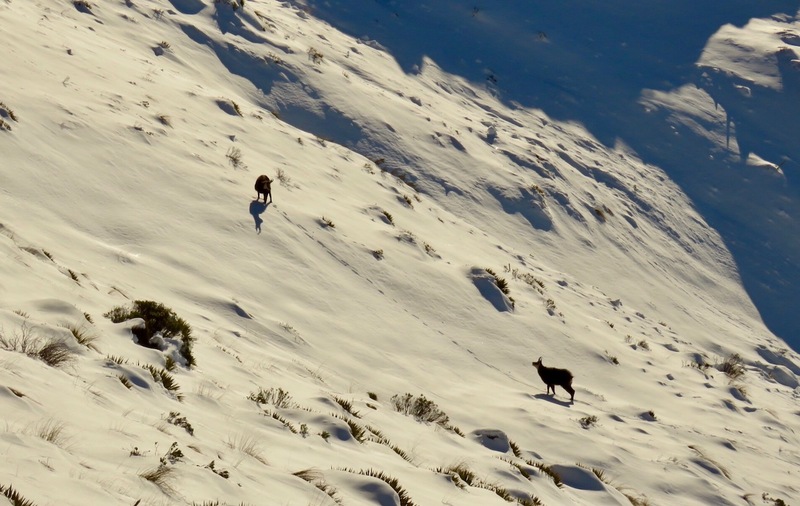 Here's a few photos from a reasonably long day on the hill chasing some chamois. We left home 6am and got home at 10pm. It was -5 degrees when I left home and -3 when I got home. I think the day may have got to a high of 2 or 3 degrees, but for the entire day there wasn't a breath of wind and not a cloud in the sky. It would have been one of the most stunning days I have spent on the hill in a long time. And when you're constantly moving you don't realise how cold it really is anyway. Getting into the mountains was uneventful, but when we hit the bush line we realised how deep the snow was. It was a pain in the arse, too soft to walk on, and waist deep in places. 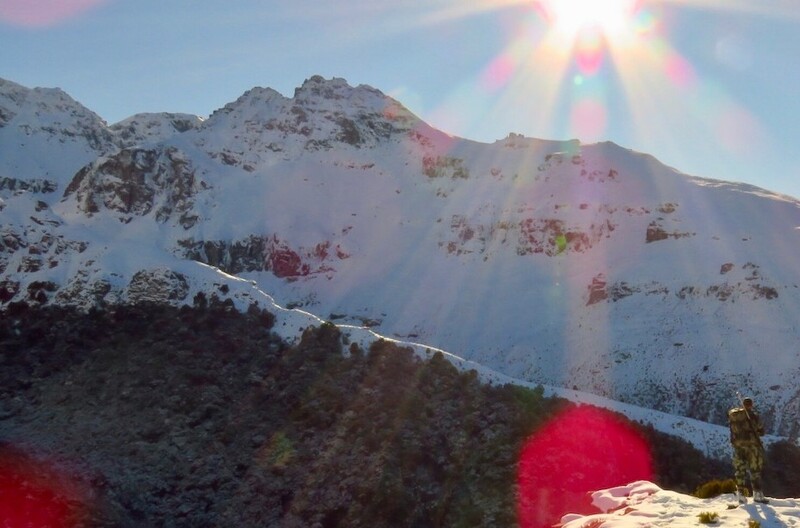 It was all good once we reached freezing altitude, then we would hit patches where we could walk on top of it. But the majority of the day was spent pushing through snow up to at least our knees. We walked or waded 11.3kms, but I swear it felt about five times that distance. 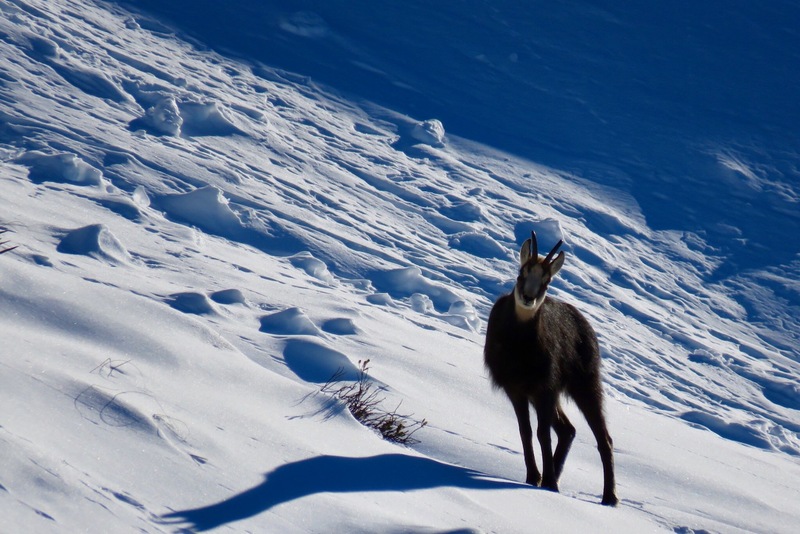 The chamois were still rutting, and we saw a few. Enough to keep the day interesting anyway. One good buck was spotted away up high in country we'd never get to in those conditions, so we focused on another we spotted which we thought to be in the 9 inch plus category. 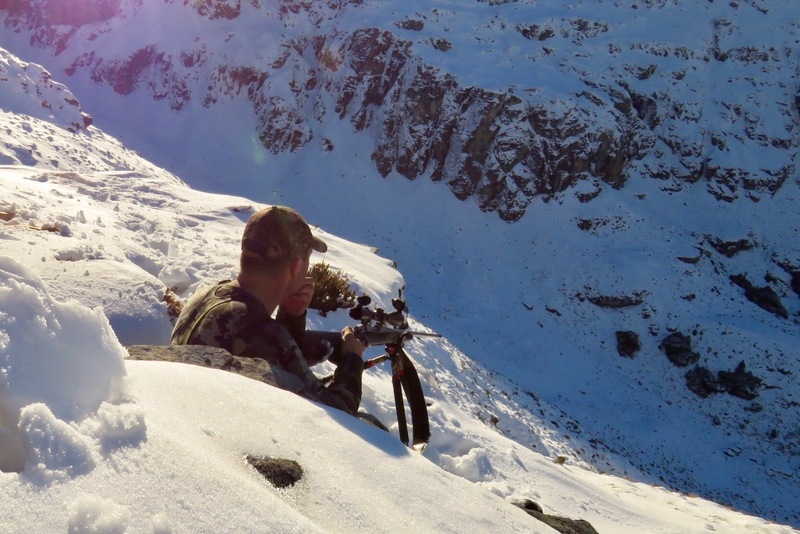 Gav hadn't shot a chamois before so was after a representative animal. Long story short the buck went up the valley and we lost track of him somewhere in the bluffs. 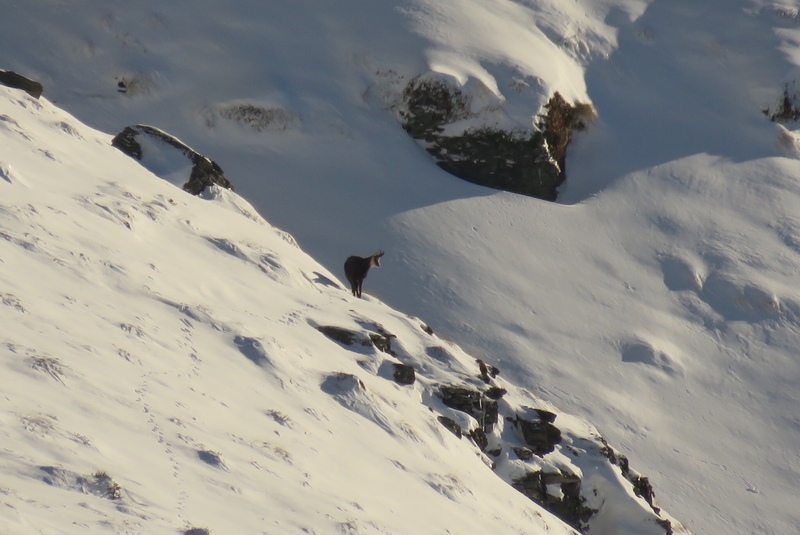 The younger chamois we saw were all down low, sitting in the sun. But no older bucks were hanging around them unfortunately. 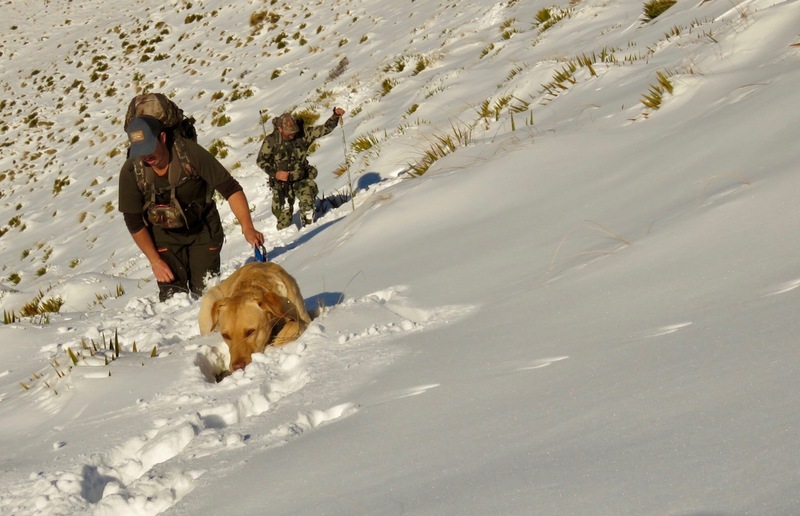 They were in easy country to hunt compared to what we had to hunt in for the day. As we expected, we saw a few deer too, as at this time of year with a bit of snow around they're pretty easy to track down. They love the sun, and most we saw were well and truly relaxing out in the snow tussock all day long. No shots fired, but an awesome day out none the less. 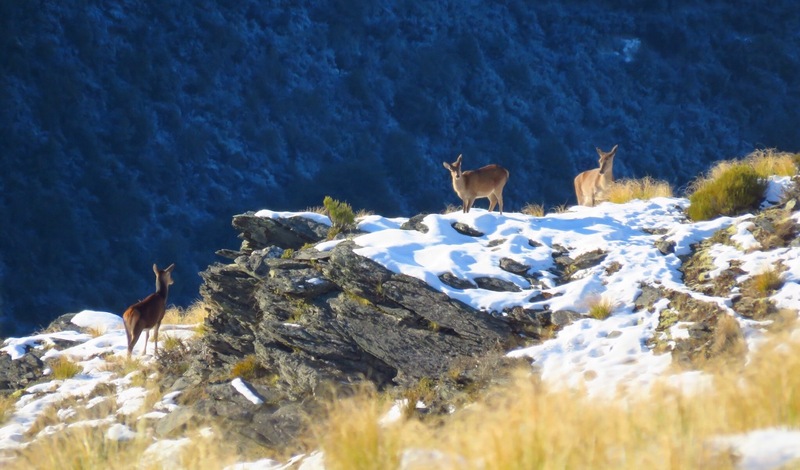 The close encounter with the chamois buck was a clear highlight. Norway, jakewire, Nathan F and 39 others like this. Some great photos there Josh. Might be time to get some snow shoes. Absolutely awesome photos thanks for sharing. Shearer and A330driver like this. that's an epic mission in those conditions mate. Superb pix - that young buck looks like he was spoiling for a fight. Pretty cruisey day mate...way less stressful than working! Cheers, he was about 8 metres. Pretty cool. That’s awesome and looks like hard work punching through that deep snow. Yep it's pretty slow going, the area we hunted I can usually get into within a couple of hours from the truck, but yesterday it took about five hours. Hell that looks like hard work, shame the good Bucks beat you but that's hunting. Well rewarded with some excellent photo's. Good to see you made good use of your only day of fine weather down there enjoyed that as usual. Good to see a few animals and have some interaction with them. Maybe a scado would work apart from the noise. Outstanding trip and great photos. Nice work. 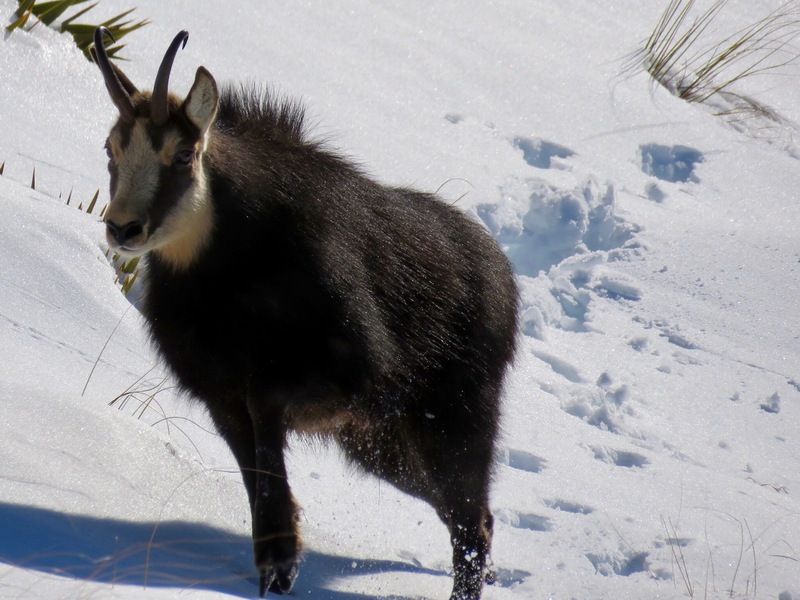 My son got back last night after a 3-day school trip and told me he saw 4 chamois within shooting distance as they sat for lunch on a mountain pass... also thigh deep in snow. One of several highlights of the journey. Came back with some stunning photos as well. Lucky bugger... my school trips were never that much fun. 40 years later I still have vivid memories of walking across Table Mountain up behind Thames. Knee-deep in mud. In the rain. JoshC and Boaraxa like this. 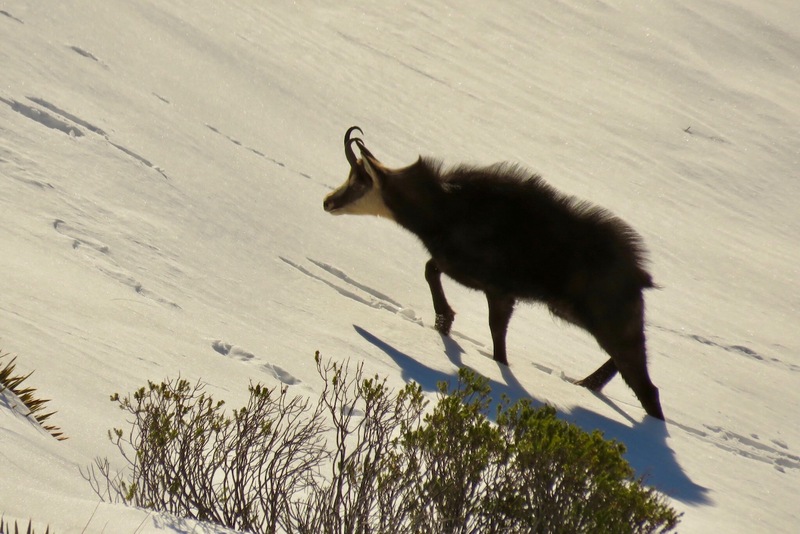 anyone want to chase some tahr/chamois?